An article about solving the coffee cup conundrum was posted on the BBC website today. We thought “woohoo!” Alas, no. The article completely misses the best and simplest way of tackling the disposable coffee cup mountain: take your own one with you. 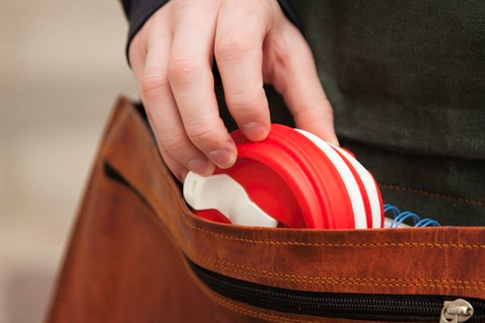 Taking your own cup with you avoids the need for origami, recycling and drop-off points – in one tidy package like this brilliant, collapsible one from Pokito! But then you already know this… so please help spread the word about refillables and #refill_here – where’s your favourite cafe that supports and promotes the refill revolution?